At the heart of Reformed Theology, at the heart of Luther and Calvin’s struggle, and in Knox and Jonathan Edwards, were men who were awakened to the greatness, to the majesty, to the holiness, and the sovereignty of God. By contemplating the holiness and sovereignty of God, they were driven to develop their doctrines of the grace of God. Because until you meet a God who is holy and is sovereign, you don’t know what grace means. I don’t think we are ever going to see a healthy evangelical church until the evangelical church is solidly Reformed, where it takes biblical Christianity seriously with a right concept of a sovereign God. That’s because unreformed Christianity has failed in our culture. It has been pervasively antinomian (no law, no Lordship), and has been pervasively liberal in it’s trends and tenancies away from Scripture, because there’s been no real basis in the sovereignty of God. Today’s evangelicals are never amazed by grace, because they don’t understand sovereignty. They don’t understand God. The evangelical church today is sick, more sick than it ever has been. We need a style and a variety of Christianity that is not a religion, but is a life and a worldview, where at the heart and foundational structure of it is a sound and deep biblical concept of the character of God. 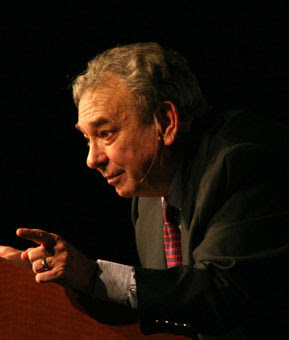 If we keep the conversation Western, Sproul's passionate diagnosis has a certain ring to it. But if we go to the Global South, we find all kinds of Christian expressions -- Pentecostal, Liturgical (e.g. African Anglican), Reformed, etc are quite lively -- and not for the purely theological reasons Sproul cites. If his theory is correct, there should be no lasting, lively, faithful non-reformed witness in church history and, by contrast, no exception amongst reformed believers to Sproul's diagnosis. At the end of the day, he seems to be saying that only a truly reformed theology can reveal God's sovereignty and the true meaning of grace to the heart and mind of a passionate believer. Is that really verifiable? Were the Weselys, for example, really so out of touch with God's holiness, majesty and grace (check your hymnbook under "John and Charles Wesley"). That said, his comments about evangelicalism in general do, I think, hold some water. I tend to blame the "church growth" mania where the emphasis is put on gathering crowds by any means possible rather than on a particular brand of Christian theology. Thanks for the comments Bill. If I recall correctly I believe the context in which Sproul makes this observation this comes from an evaluation of the church in America as opposed to the church as a whole. Also I believe the [Bluprint for Thinking] series was done in 1984 so it's focus might not reflect the "current" state of the church. I certainly agree that the "church growth" movement which focuses on drawing crowds plays a part in the churches demise. While I appreciate Sproul and his ministry I think his statement is too broad. Some mainstream American churches which are not reformed are making huge impacts in evangelism, expository preaching and discipleship while many reformed churches are small and divisive and whose only growth is a result of giving birth to covenant children. Are we to say dispensationalists, baptists, and arminians are not being used of God. A very rash word. It would be a tradgedy if God were limited to using "only" the reformed. Not sure why my comments were not posted. Here it is again. God has used Arminians, like Wesley, as Bill pointed out. 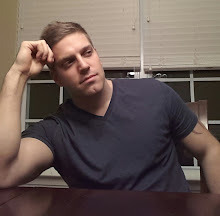 Calvinists, for whatever reason, have been reputed to be "mean" or opinionated. Even if doctrinally, Calvinists might be "purer" or more "scriptural" than Arminians, both believe in the 5 Solas. "Grace," I believe, is the key. Without grace, Christianity is just another work based religion, regardless of whether one is a reformed Calvinist or Arminian. Unless the church repeatedly communicates the unconditional love of Christ, in spite of the hideousness of our sins, we're going to have little impact in society. Coram, I don't think it was Sproul's intention to place everyone in the same category. And you're right, this quote is a little broad in its scope. God most certainly has used those who do not subscribe nor are they identified as Reformed for the advancement of his kingdom. Ben, I think I know what you mean when you say that the church needs to proclaim the unconditional love of Christ, but I believe (as Sproul frequently points out) that it's the qualification of repentance that usually is missing from the equation. Does it really help the sinner if we tell them that God loves them "just the way they are" without also telling them they need to turn from their 'wicked ways.' Shall we preach only the Good News without also presenting them the Bad News? Shouldn't we approach society just as Christ and the Apostles did and call sinners to repentance out of darkness into His marvelous light? I'm not sure if you intended that or not, but I think that is a clarification which the church oftentimes conceals in an effort not to offend. Which, as Sproul also points out can lead to tendencies away from Sacred Scripture. As a group I think those in the Reformed camp place more weight on the sovereignty of God; not that the Arminian camp does not. When we look at the 5 solas they may both agree in distinction but not in degree. Traditional Reformed theology supports grace alone for salvatiion. The Arminians are works oriented; salvation is based on merit. For example: the Catholic Church and the Christ of Christ (Stone-Campbell movement of the 1800s). Actually, manny Arminians would agree with your comment Bill in paragraph two that: there is no lasting ...witness because classical Arminian theology does not support assurance of salvation; unlike Reformed theology (though that in itself is another post). But there is a bigger lesson here. Can God use both? In the early to middle 1700s the Church of England was at its lowest. It had no power, purpose, or vision. The other denominations were no better off. In London over 2% of the population suffered from problems related to alcohol. Yet during that time God raised up two men that would turn that country upsidedown and insideout. They were responsible (along with the help of the Holy Spirit) for the spiritual Awakening in England. These two men could not be any more apart theologically; they are George Whitefield (Reformed) and John Wesley (Arminian). What they accomplished together was awesome. Their personal relationship with eachother is worthy of note; worthy of a double portion. Not only did they shake up England (and they both preached in the USA) but they preached from eachother's pulpits; and Wesley delivered Whitefield's funeral sermon. Single-minded, a single purpose; both serving the one true God. There is a lesson there for all of us that hold onto our theologies too tightly. Blessings. "That’s because unreformed Christianity has failed in our culture. It has been pervasively antinomian (no law, no Lordship),..."
Bull crap!!!! Antinomianism started with Luther and Calvin and are ever renewed in our churches by the Calvinist jackasses among us.